She told us how George and Barbara Bush were so kind following the death of her grandfather. 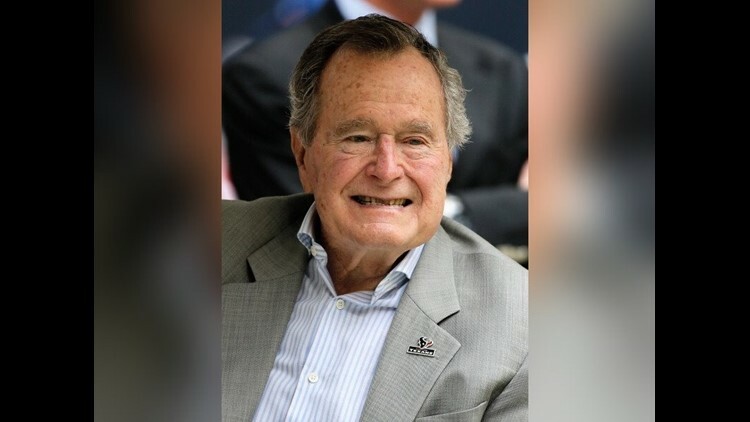 LOUISVILLE, Ky. (WHAS11) -- Hundreds attended the state funeral for President George H. W. Bush. Among the attendees was Laura Melillo-Barnum from Louisville. She served as deputy press secretary for the president and joined several other former staffers at the funeral in Washington. She told WHAS11 Bush was a very caring and gentle man. “They pulled me over and then they took me to their house where we were working at the time. And sat down with me and asked me to share memories of my grandfather, why was he special. But it was that compassion that you felt. And then his assistant came in to say, 'Oh, Margaret Thatcher is on the phone and we've told her to call back.' And he said, 'I'm talking to Laura so just tell Margaret I'll get back in touch with her,” Melillo-Barnum said. She said before the funeral, the staffers got together and shared stories, calling it a healing experience.